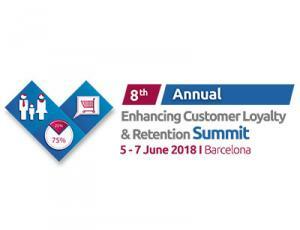 8th Annual Enhancing Customer Loyalty and Retention Summit was designed for you to learn about the loyalty programs from different companies represented by industries such as telekom, banking, retail, hospitality, and aviation. Come and learn about the latest findings, strategies, and challenges successful companies are happy to share with you in one place. Inevitably, in the competitive market it is important to find out how to deal with the competition. Without satisfied customers, there would be no business. What can you do to retain you customers, make them satisfied and grow your business? At this annual, you will learn why it is important to distinguish the loyalty and rewards programs, the impact of the digital world on customer loyalty and retention, what the role of the personalisation in retail means, enhancing customer retention via ongoing surveys, the role of the AI in the customer journey, and many more. Therefore, do not miss this opportunity out to discuss the challenges and hot topics around the customer loyalty and retention. What are the most important objectives in loyalty programs that made you succeed? What do you have to stress when it comes to the distinguishing between the loyalty and the reward programs? How can personalisation create lasting loyalty? What is the most successful way of increasing the satisfaction of your customers?